Made at Reesor's from the same ingredients you use at home. Learn More about bread. Our famous pies are loaded with fruit. 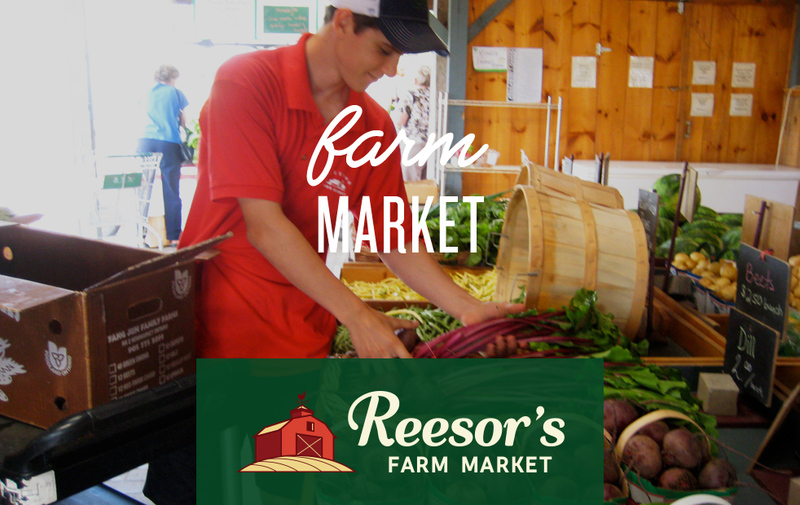 Learn More about Reesor's pies and our made from scratch cookies. Local food, Ontario produce, organic and antibiotic free meats. We make our own baked goods, salads, and heat & serve foods for you to enjoy at home. During growing season, we offer produce from our own farm, as well as from the rest of Ontario. Come visit and experience local goodness at its best. Specializing in Ontario produce, artisinal Ontario & Quebec cheeses and deli meats. Enjoy our take-home baked goods, entrees, soups and salads. Sit and enjoy a cup of freshly brewed organic, fair trade coffee or take home some beans to brew yourself. Come and visit our town market location in Stouffville, Ontario! Hours: Mon-Fri: 8am – 7pm, Sat: 8am – 6pm, Closed Sundays. farm market location in Markham, Ontario!